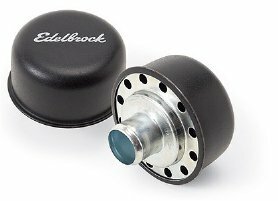 Edelbrock is the most respected name in performance. 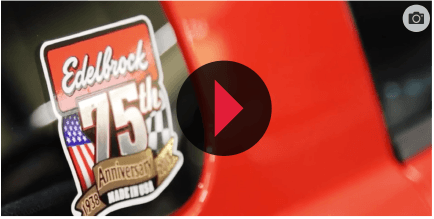 Founded in 1938 by Vic Edelbrock Sr, Torrance-based Edelbrock, LLC. is recognized as one of the nation's premier designers, manufacturers, and distributors of performance replacement parts for the automotive aftermarket. Every Edelbrock Cylinder Head is made in the USA for quality and performance. Cast and heat-treated at the Edelbrock Foundry and machined at Edelbrock's manufacturing facility, Edelbrock heads are the best in quality and performance. Using highly efficient ports and state-of-the-art combustion chamber shapes, Edelbrock cylinder heads offer improved performance throughout the RPM range for great throttle response and top-end horsepower. 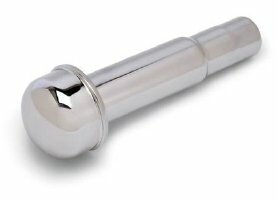 Top-quality features include threaded inserts in rocker stud and exhaust bolt holes for superior strength and durability, and manganese-bronze valve guides. These are features that some other companies don't include! For a custom look that will stand out from the crowd, top off your engine with an Edelbrock air cleaner, valve covers, and breathers. Choose from Signature Series chrome-plated steel, the popular Elite Series made of polished, die-cast aluminum with fins, Classic Series cast aluminum valve covers and air cleaners with fins, or the new Victor Series die-cast aluminum accessories with a black powder-coated finish and the famous Edelbrock Racing script. 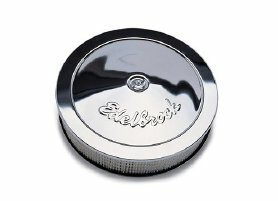 Edelbrock open element air cleaners let your engine breath deep for maximum performance and efficiency. Choose from round, oval, or triangular shapes to fit your style. Match your air cleaner with Edelbrock valve covers for a performance look. Some models are available in a tall configuration to clear custom rockers and other high performance valvetrain parts. 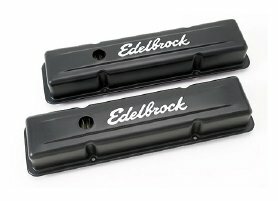 Protect your engine with Edelbrock valve cover breathers. By providing proper crankcase ventillation and convenient oil fill access, breathers keep your engine running healthy and free of compartment contamination. Customize your ride with a range high quality accessories. Whether you want to change a carburetor or simply add a finishing touch to your setup, Edelbrock has everything you need. Edelbrock Universal Pro-Flo Conical Air Filters are an economical way to ensure your engine is getting clean air, without the expense of buying a new filter every few thousand miles. 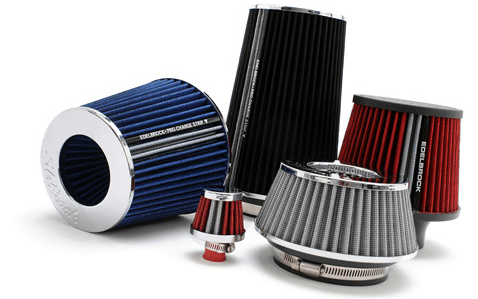 They are constructed for superior filtration and air flow performance. The Universal Fit Series features triple chrome plated trim for a show-quality look. Available in black, red, white, and blue to complement any engine bay. They are also designed with 3 inlet adapter rings for use on 3", 3.5", and 4" inlet tube systems.